The Centre is a membership based research institute supported by the ICSSR in India and since it was not meant to be ‘academically neutral’ its individual Life membe rs and Institutional Members constituting the Centre’s General Body (GB) are drawn/inited from people and institutions who share the Centre’s ideology and aims – formulated on the basis of the experiences of its founder members. Since the size and diversity of the country rules out any pretension to undertake research and other activities on a nation-wide basis, the Centre chose a catalyst’s role. This strategy influenced the choice of members to a certain extent also. The Centre draws on the experience, intellect and scholarship available in the country with the expectation that its Members would actively participate in fulfilling the Centre’s aims and objectives and provide direction to its future course. The Centre’s General Body, currently consisting of 98 life members (79 women and 18 men) and 4 Institutional members is always on expansion mode due to induction of new member. The General Body is the highest policy making and monitoring body of the Centre and meets once a year to receive the report of Centre’s annual activity. It approves Centre’s annual work plan and suggests new direction and new thrusts. The members also offer their own expertise in various areas to see that the projects and plans are completed with fair amount of academic excellence. Therefore, from the very early days of the Centre, a formal review mechanism has deliberately been allowed to come into existence. The present General body is a mix of experienced and academically oriented administrators, public figures, social activists and highly qualified academicians/ scholars. 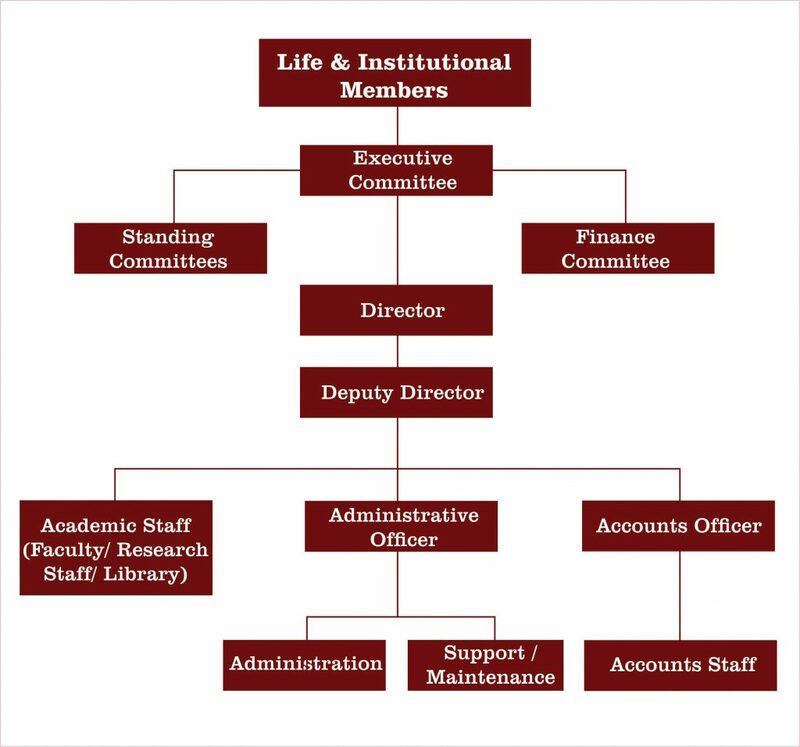 Executive Committee members continue to be drawn from a range of academics and professionals. They guide us in matters such as the framing of institutional policy and governance, even as the faculty and research team venture into newer, more complex sites of analysing gender relations and the links between women’s lives and macro structures. The Executive Committee of the Centre with all members functioning in an honorary capacity.